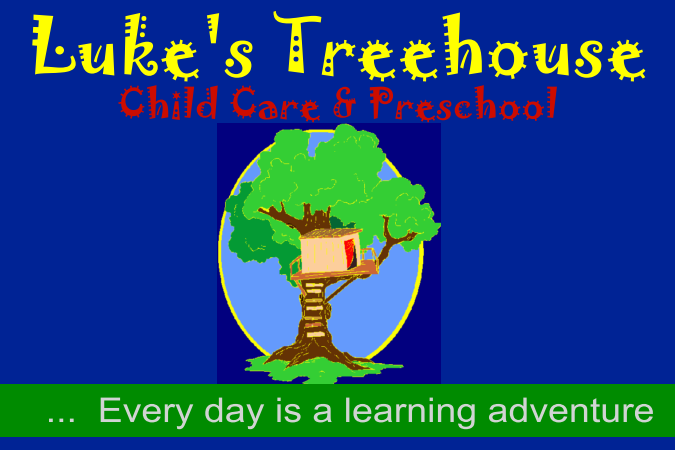 We take an eclectic approach to learning with the belief that no one program accomplishes everything we would like the children to experience at Luke's Treehouse Early Learning Center. Therefore I am building our curriculum from the best resources after considering what it is that a full and great day for children would be like. I thought about what opportunities and exposures children could and should have in a rich learning environment. I considered things I learned from my education background, my experiences raising my own children, my observations of children enrolled here the past five years, and remembering childhood what it is and should be. *** Although a private school, believing there are many variations and personal family beliefs about spirituality and religion, we believe the families will respond accordingly to raise up their child in the path they should go according to their own faith. Please take this responsibility seriously and do not neglect this aspect of your child's education. At Luke's Treehouse we will celebrate generally some formerly traditional holidays and we welcome information and inclusion of holidays of your family. We do not study religious training, but include social character concepts for personal development.